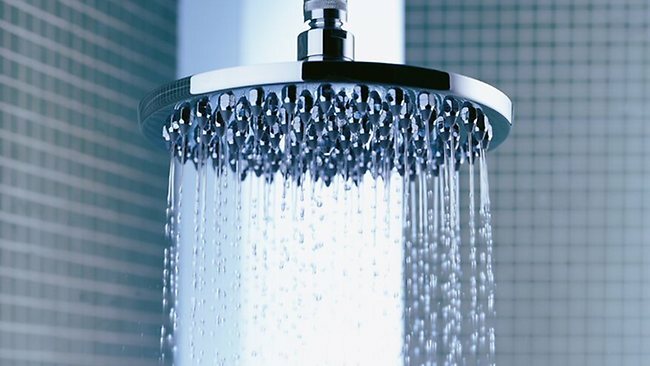 HOUSEHOLDERS who turn down the heat on their hot-water systems risk the spread of deadly legionella bacteria. The bacteria was found in the tank-style hot-water systems of three of five legionnaires’ disease victims, prompting SA Health to warn the only reason householders should set the temperature below 60C was if young children or the elderly lived in the house and could be scalded. Welfare organisations have confirmed the high cost of electricity is forcing some low-income earners to adjust hot-water systems to save money, The Advertiser said. The Advertiser can reveal that the legionella test results, from 2009, were never made public. The suspected link to hot water systems was only revealed publicly in a report prepared for Parliament by the independent watchdog Public and Environmental Health Council. When asked about the issue, SA Health told The Advertiser the legionella testing was done to identify the source of five Adelaide cases of the disease in a small area of north-eastern Adelaide in late 2009, with three of the five thought to be linked to bacteria found in hot water systems in the victims’ houses. In a written statement, Director of Public Health Protection Dr Chris Lease said: “SA Health continues to look at ways to further inform the community of the importance of safely using hot water storage tanks to avoid burns and scalds and also protect against legionella infection. “Hot water storage tanks need to be set to store water at 60 degrees minimum to reduce the risk of legionella growth. UnitingCare Wesley spokesman Mark Henley said there continued to be conflicting advice about the risks of legionella and scalding of children from health authorities. “It is not surprising that low-income people do anything they can including adjusting the temperature of hot water systems because the cost of electricity is so high,” he said. A spokeswoman for SA Health denied there had been a cover-up and defended the fact that details of the link to hot water systems were never revealed. The spokeswoman said it was common practice in disease outbreaks not to reveal specific causes, and said warnings had been issued to councils and other health authorities. Water heating contributes to about 40 per cent of household electricity bills, on average $600 each year, and hundreds of dollars could be saved by adjusting the temperature, depending on the age of the system. The warning applies only to hot water systems that allow water to sit in a tank. Newer heaters which allow temperature adjustment from inside the home are not a danger. Health authorities want householders to read information about the risks of legionella and scalding at www.kidsafesa.com.au and www.dh.sa.gov.au/pehs/PDF-files/ph-factsheet-legionella-pneumo.pdf before making any changes to their hot water systems. Legionella infects up to 15 South Australians each year, with airconditioner cooling towers the major source. Large increases in electricity and gas prices have caused many people to reduce the temperature down to as low as 40 degrees, but this can be a breeding ground for the legionella bacteria in heaters which have reservoirs of water which stand for a long time. Instant hot water systems and newer systems which allow the temperature to be adjusted close to taps are not a risk. Legionnaires’ disease can occur if a person breathes in legionella-contaminated water vapour or dust. It cannot be spread from person to person. While the optimum temperature for it to thrive is 35 degrees it flourishes at between 25 and 45 degrees. INSPECTED once every month and recorded in a maintenance log book. CLEANED once a month if impurities in the system are found. DECONTAMINATED at least every six months. This entry was posted in Legionnaires Disease Control & Outbreaks on 03/03/2011 by admin.